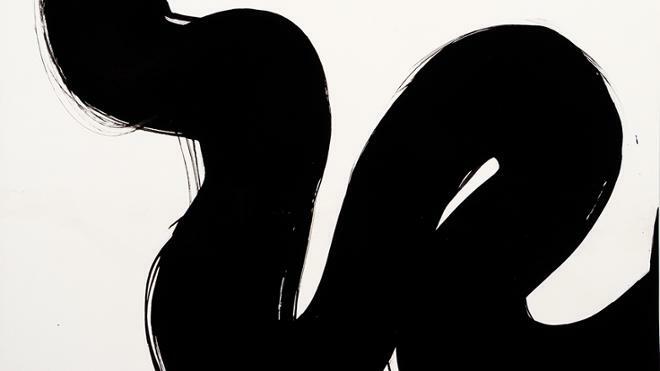 Al Held (American, 1928-2005), 67-B3, 1967, India ink on paper, 20 ½ x 24 ¾ inches, Joel and Lila Harnett Print Study Center, University of Richmond Museums, Gift of Carole and Marcus Weinstein, H2018.11.04. 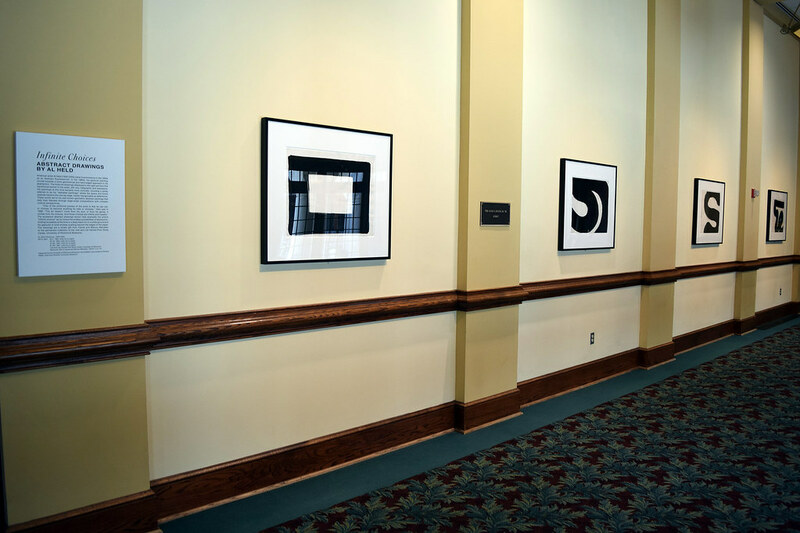 Infinite Choices: Abstract Drawings by Al Held is on view August 22, 2018, through July 7, 2019, in the Harnett Museum of Art, Modlin Center Booth Lobby. American artist Al Held (1928-2005) came to prominence in the 1950s as an Abstract Expressionist. In the 1960s, his gestural painting moved towards a more geometrical and hard-edged approach in his abstraction. 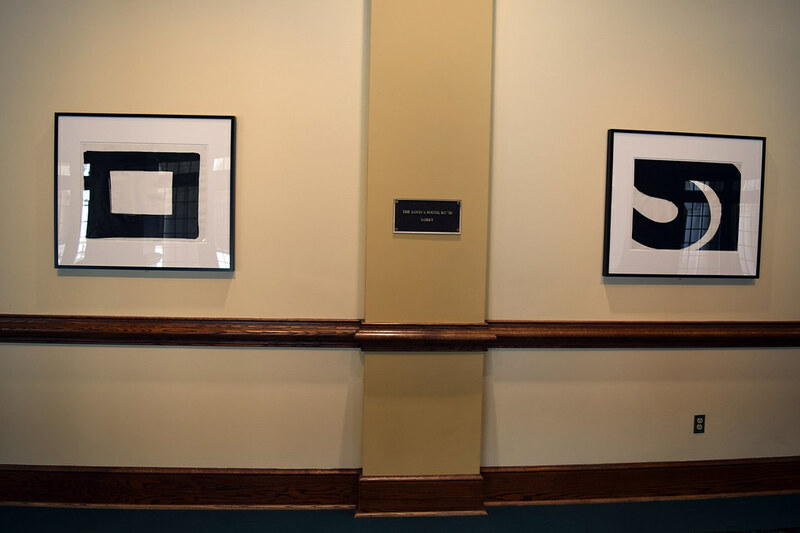 The India ink drawings in the exhibition are from this transitional period, still very calligraphic and expressive. His paintings at this time became more concrete, including a series referred to as his “alphabet paintings” where the space and forms explode beyond the canvas edge, hardly recognizable as letterforms. These works led to his well-known geometric abstract paintings that defy their flatness through large-scale compositions with complex cubical perspectives. “One of the profound powers of the artist is that he can will, or choose, to become anything he wills or chooses,” Held said in 1989. “The art doesn’t come from his soul, or from his genes, it comes from his choices. And those choices are infinite and hopeful.” The exuberant abstract drawings featured in the exhibition exemplify the artist’s “infinite choices” as he mined the endless possibilities of abstraction, limiting his palette at the time to a deep black ink on a white ground and his gestures to bold strokes hardly contained by the edges of the paper. Organized by the University of Richmond Museums, the exhibition was curated by Richard Waller, Executive Director, University Museums. 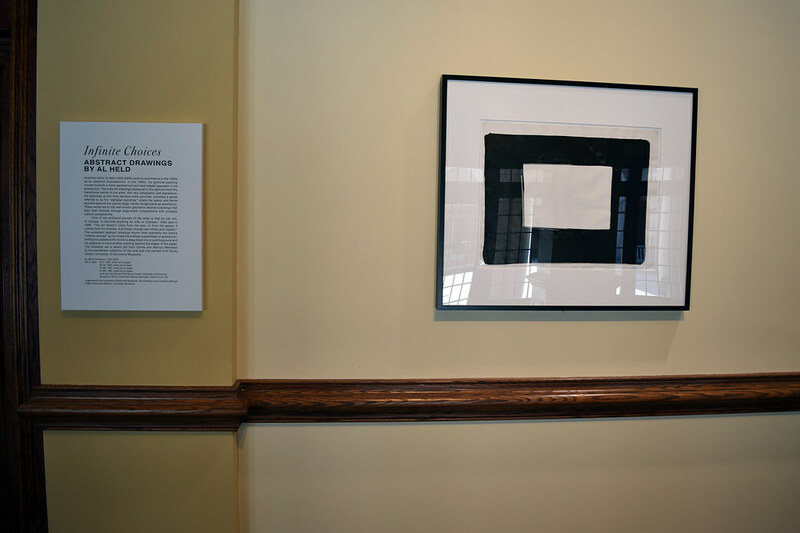 The drawings are a recent gift from Carole and Marcus Weinstein to the permanent collection of the Joel and Lila Harnett Print Study Center, University of Richmond Museums.